So Day One is done and it was a - mixed success? The above was my breakfast and it was so, so yummy! 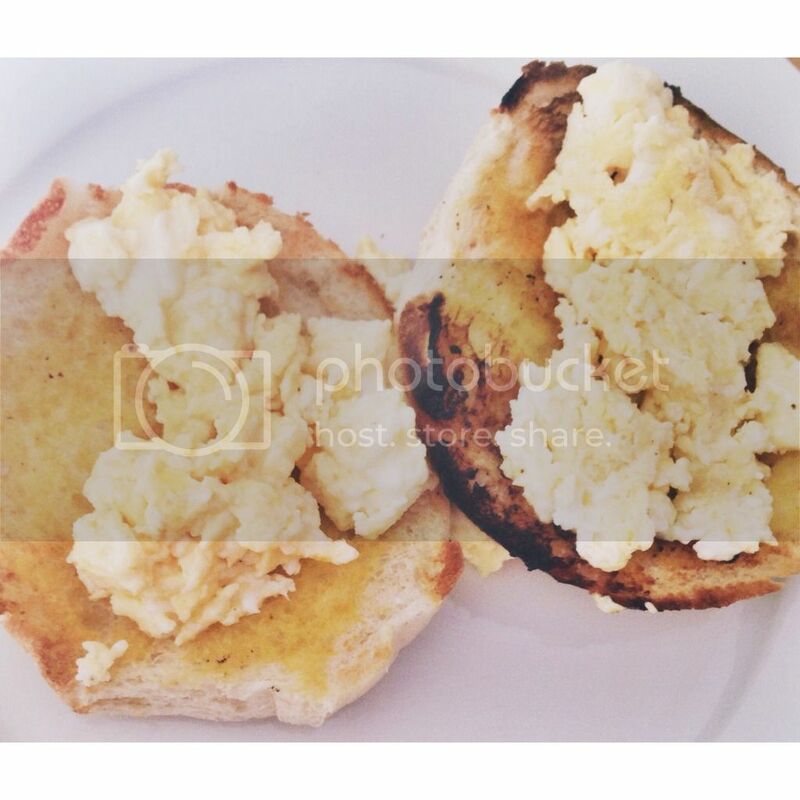 Two eggs, scrambled, a little salt and pepper, a tiny blob of butter and a bap toasted and buttered. I KNOW the bread and butter parts are bad, but this kept me full up from 7am until 1pm so that's a win in my book. I also had zero snacks today! Lunch was where things started going wrong - cereal :/ But! We'd just found out that we didn't get a house we bid on and I felt sad and wanted chocolate - cereal as a replacement was a success for me. My mum, god bless her, then made a midweek roast. Why? Why test me so? But I just had the meat and veg so I think it could have been worse for sure. Overall not the worst day but not the best either. I've learnt from noting everything down that I NEED to drink more water, and less tea. Woops. So British. But today has been an emotionally sucky day so I'm pretty proud with how I've done. We took the dogs on an hour long walk this morning and a 40 minute plod this evening too - so not toooooo many calories burnt but definitely something. Tomorrow I need to fit in an actual jog. I feel sick just thinking about it.